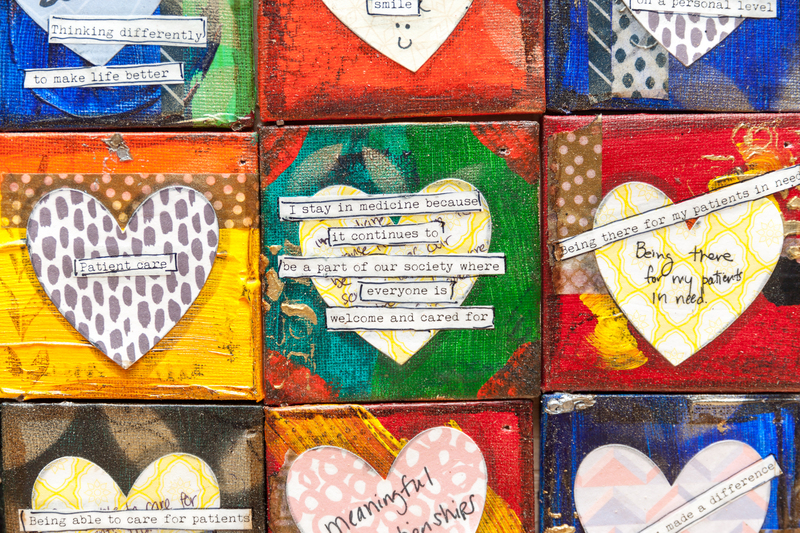 Hearts in Medicine – Keeping our hearts in medicine through reflection and art. Keeping our hearts in medicine through reflection and art. We keep our hearts in medicine by being mindful of our needs, breaking down barriers to seeking help, increasing awareness of our needs and resources, nurturing our passions and staying connected with our purpose. This website is dedicated to keeping our hearts in medicine for all those who work in healthcare or healthcare education. The posts represent the opinions of the authors and are meant to facilitate positive conversations and awareness of the issues around keeping our hearts in our work and addressing the epidemic of heartbreak. Stay informed about updates on this project through joining our mailing list.